Three years after publishing Chemistry of Energetic Materials, Dr. George A. Olah won the 1994 Nobel Prize in Chemistry for the discoveries he had outlined in that slender volume. The 1991 compilation of scholarly articles, which Olah co-edited with David R. Squire, marked an explosion of fundamental scientific discoveries in hydrocarbon chemistry, a field originally devoted to blowing things up in the literal sense. Two other researchers among Dr. Olah’s 15 co-authors — Dr. Yuan T. Lee and Dr. Jerome Karle — had already been recognized by the Nobel committee for their work in hydrocarbons: the chemical basis of explosives and fuels as well as dyes, plastics, insecticides, pharmaceuticals and more. “The best I can say for what happened in this field is in this little book,” Dr. Olah said from his office as founding director of the University of Southern California’s Loker Hydrocarbon Research Institute. 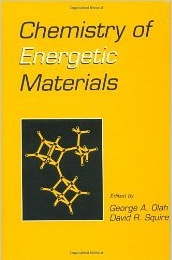 Despite its continuing significance 21 years after publication, Chemistry of Energetic Materials is out of print, and the few copies offered by online book vendors list for $250 and up. However, the title will soon become available in digital format as part of the Legacy Collection, a major new publishing initiative by Elsevier. Covering seven academic disciplines, the Legacy Collection expands the content of Elsevier’s ScienceDirect, a searchable database of full-text books and journal articles, adding thousands of scientific titles from the mid-20th century to the present. Olah’s work illustrates the pivotal importance of these legacy volumes. His discoveries reversed a century-old assumption and opened new frontiers in organic chemistry eagerly explored by today’s researchers, including Dr. Olah himself, who is now 85. “It was firmly believed for a very long time that the element carbon can bond together only four neighbors” when forming molecules, he explained. “Maybe I was lucky, or maybe I had an inquiring mind or whatever, but I was able to prove that in certain instances, carbon can bond five, six, seven and exceptionally even eight neighbors together. 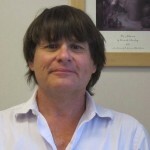 Dr. Tom Cole, an associate professor and graduate advisor in the Department of Chemistry and Biochemistry at San Diego State University, represents a subsequent generation of organic chemists who benefit from the ground-breaking contributions of Olah and his contemporaries. Whereas Dr. Olah, who wrote every one of his 25 books and 1,500 peer-reviewed scientific papers by long hand, doesn’t depend heavily on Internet research tools himself, Cole, like most of his 21st-century peers, welcomes the expansion of today’s digitized scientific literature base. This graphic for the Legacy Collection illustrates the process of transforming print editions — some of which are out of print — into books that can be read on modern electronic devices. Dr. Cole believes that adding relevant backlist titles, such as Dr. Olah’s Chemistry of Energetic Materials to today’s online libraries offers tremendous value. Dr. Olah agrees that science — especially chemistry — continues to play an essential role in human history. “Chemistry is a very central science in which to understand and explore new vistas,” he said. “It generally starts with a practical reason, but then it can expand, not only to prove our understanding, but also to find new, important applications. “The name hydrocarbon chemistry implicitly says it’s a chemistry of two elements, carbon and hydrogen, and they are both essential to human life,” Dr. Olah said. “Nature gave us a great gift in compounds of hydrocarbons, which we call petroleum oil or natural gas, or coal. We use those in large amounts to generate heat and electricity, to make fuels to drive our cars and fly our airplanes, and to make chemicals. Olah’s current research aims to further advance hydrocarbon applications by meeting society’s crucial need for clean, affordable and plentiful energy. Building on his previous work, he advocates synthetic methanol as an alternative fuel. Over the past 15 years, Dr. Olah said, he and his research team have found that methanol is a better, cheaper and cleaner fuel than gasoline. Best of all, it’s not a nonrenewable fossil fuel; rather, it can be made synthetically from water and carbon dioxide, a key greenhouse gas contributing to climate change. “I really think this work is by far the most significant and important work I’ve ever done, and this includes the work for which I got the Nobel,” he said. 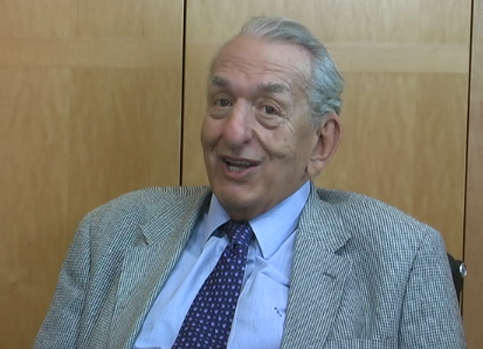 Growing up in Budapest between the world wars, George Olah didn’t plan on becoming a scientist. He leaned more toward languages and philosophy. But his first university class in chemistry changed his mind. “I fell in love with chemistry,” he said, “and I am still in love with it. Don’t ask me why. I should have retired as most of my more clever colleagues and enjoy whatever fame or fortune this (Nobel) prize can give. Having seen the worst of the 20th century — including the devastation of his home country, which prompted his move to Canada and eventually the US — Dr. Olah nevertheless remains optimistic as a new century unfolds. And he sees continuing scientific inquiry and discovery as keys to better days ahead. 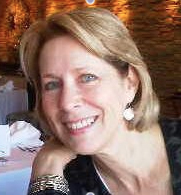 Journalist Sandra Millers Younger is founder and principal of Editorial Excellence, a writing and editing service for colleges and universities, businesses and nonprofits. During a career spanning more than 30 years, she has written or edited hundreds of published articles for publications ranging from academic journals to Seventeen Magazine. She is a former magazine editor and the author of The Fire Outside My Window, a first-person, nonfiction account of the biggest wildfire recorded in California history, due out in 2013. A native of the the southern United States, Sandra is a Phi Beta Kappa journalism graduate of the University of North Carolina, Chapel Hill. She earned a master’s degree in magazine journalism from the S.I. Newhouse School of Public Communications of Syracuse University. She lives in San Diego, California.